The recently released first look poster of Stylish Star Allu Arjun’s ongoing project, Duvvada Jagannadham, has enthralled fans. Bunny’s never seen before makeover as a Brahmin caterer has done the trick and created a huge buzz for the movie. Now, the film’s first teaser is gearing up to release on February 24th on the occasion of Maha Shivratri. 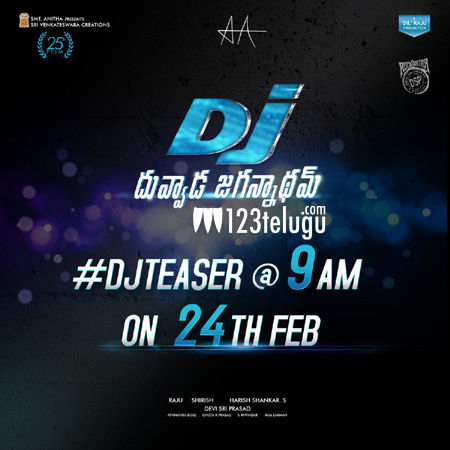 The latest update is that the teaser will be released at 9 am on that auspicious day. Fans are eagerly waiting to see the surprise awaiting them.